While American interest in Japanese video games has been waning with the shift in market towards Western developed titles, you can bet your hat that Japan is still very much in love with the games they create. A list of games put together by Media Create has compiled the 30 best selling video games in Japan over the course of 2012, and not a single game on the list was created beyond Japan's borders. Call it island nation syndrome, or whatever, the Japanese still love what they do best. 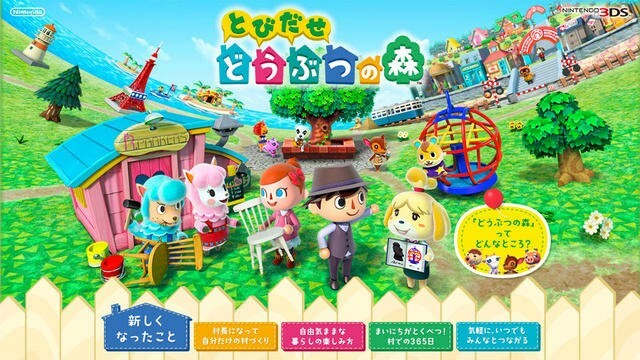 All the typical heavy hitters: Mario, Pokemon, and Dragon Quest took the top spots with Animal Crossing: New Leaf taking a surprising second place as the year's dark horse. Monster Hunter did not see a release this year, but the most recent game launched back in 2011 still managed to crack the top 15. Other surprise hits were Dragon's Dogma, Capcom's first time attempt at an open world RPG, and Fire Emblem: Awakening shattering all expectations and emerging as one of the best selling Nintendo 3DS games of the year.